TOKYO (AP) — Ken Takakura, a craggy-faced, quiet star known for playing outlaws and stoic heroes in scores of Japanese films, has died of lymphoma. He was 83. Perhaps best known abroad for his police inspector role in Ridley Scott’s “Black Rain” in 1989, Takakura died Nov. 10 at a Tokyo hospital where he was treated for the illness, according to his office and media reports Tuesday. He surged to stardom after his 1956 debut, becoming an icon in yakuza films such as “Abashiri Prison” in the 1960s. Much of his appeal to the Japanese public stemmed from his image as a hero fighting authority figures on behalf of the poor and weak. Likened to Clint Eastwood, Takakura starred in detective stories and dramas including the 1977 film “The Yellow Handkerchief” and 1999’s “Railroad Man,” which won him a best actor award at the Montreal World Film Festival. The news of his death topped Japanese news programs almost nonstop, and major newspapers distributed extras in downtown Tokyo. 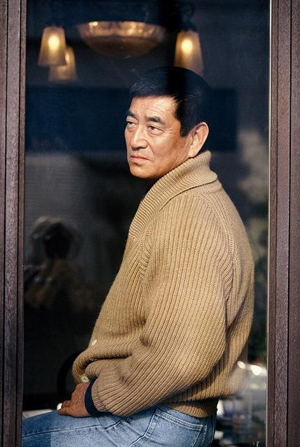 Unlike many Japanese celebrities, Takakura shunned the usual rounds of television variety shows and melodramas, maintaining a John Wayne-like aura of toughness. Born in 1931 as Goichi Oda in Fukuoka, southern Japan, he was recruited by a major film production while he was applying for a managerial position. Takakura’s friends and admirers described him as humble, honest and reserved in his real life, too. 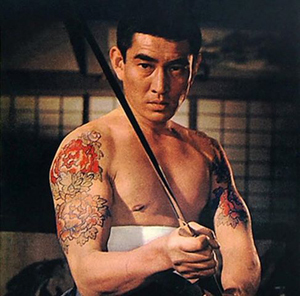 Even though he played many outlaw roles in yakuza films, Takakura said today’s gangster movies didn’t interest him. “I like movies that picture the human heart and linger with me,” he told an interviewer of the Japan Subculture Research Center. “The Deer Hunter,” “Gladiator,” and “The Godfather” were among his favorites, he said. In the 2012 award-winning “Dearest,” the last of Takakura’s films, he plays a retired prison warden who goes on a soul-searching trip with a postcard that arrived after his wife’s death. According to a fax released by his office, Takakura was preparing for his next project while in the hospital. In 2013, when Takakura attended a ceremony to receive Japan’s highest cultural award, the Order of Culture, at the Imperial Palace, he joked that he had often played characters considered most distant from the exalted realm of the palace.